Nelleke Deen was born in Rotterdam in The Netherlands, she has been involved with horses for all of her life as far back as she can remember, after leaving school she went on to train as a physiotherapist for both humans and animals. 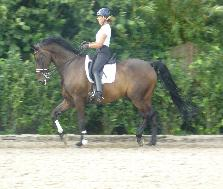 She qualified as a Dutch riding instructor in 1975 and has also worked with the Federation for Disabled Riders since 1976. 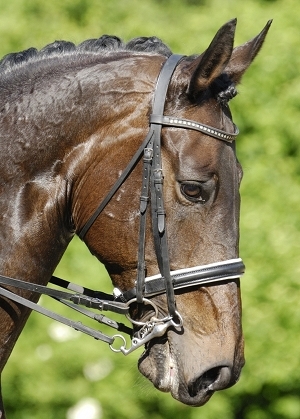 Nelleke is an international level IV Centered Riding Instructor. She has been involved with Centered Riding since 1998. Nelleke is also a TTeam Practitioner Equin and has been teaching TTeam since 1990. She has also studied Alexander Technique, Proprioceptive Neuro Fascilitation, Manual Therapy, Balimo and Kinesiology, Feldenkrais, she incorporates all of these methods of awareness and the function of the human and animal bio-mechanics into her teachings. Nelleke teaches 'Massage for Horses & Dogs' and 'Movement Analyzation' at a holistic veterinary school and has taught TTeam and Centered Riding at a school for agriculture since 1990. In the past she has had 4 horses competing at level S Dressage and is currently concentrating on training her own young horse Davitah.